The well-being of your patients is your greatest concern; ours is to make sure you remain financially viable so you can deliver the care they deserve. Mountain-Pacific can help your practice take an integrated approach to the Quality Payment Program. We know the rules. We stay current on updates and clarifications. We avail ourselves of CMS learning opportunities and will ensure that you benefit from all we know. Below are some tools and resources to help you navigate the Quality Payment Program. This video will provide an overview of how to access 2017 MIPS performance feedback for clinicians who participated as a group. Demonstrates how MIPS eligible clinicians or groups can request a targeted review of their 2019 MIPS payment adjustment. Provides an overview of how to access 2017 MIPS performance feedback for Alternative Payment Model (APM) Entities. Demonstrates how to access 2017 MIPS performance feedback for a clinician whose performance was scored separately from his or her group. Provides an overview of how to access 2017 performance feedback data for a clinician who voluntarily submitted data for 2017. In this lesson, JP Sharp, CMS Innovation Center MACRA Lead, provides an in-depth discussion on Qualifying APM Participants (QPs), who are participating in Advanced APMs. 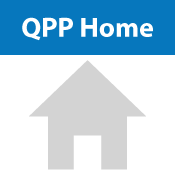 You will learn about the statutory threshold for determining QPs, the four steps to calculating QP status, the performance period for QPs, and options for those clinicians who may not meet the QP threshold. In this lesson, JP Sharp, CMS Innovation Center MACRA Lead, explains Advanced Alternative Payment Models (APMs) under the Quality Payment Program. You will learn about the basics of Alternative Payment Models, Advanced APMs and the benefits of participating in an Advanced APM. In this lesson, Molly MacHarris, MIPS Program Lead with the Center for Clinical Standards and Quality, provides a concise introduction to the new CMS Quality Payment Program. You will gain insight into the two pathways offered by the program, specifically the Merit-based Incentive Payment System (MIPS) and Advanced Alternative Payment Models (APMs). You will also learn about the foundation of the Quality Payment Program as well as its strategic goals. This video describes how the U.S. Department of Health and Human Services and the Quality Payment Program are working to improve the health care system for both providers and patients. Reviews how to register for create a new HARP account. Reviews how to request access (“connect”) to a practice so you can view, submit and manage data on behalf of the practice. Reviews how to request access (“connect”) to an Alternative Payment Model (APM) Entity so you can view, submit and manage data on behalf of the APM. Reviews how to request access (“connect”) to a Registry or QCDR so you can submit data on behalf of your customers. Reviews how to request access (“connect”) to a virtual group so you can view, submit and manage data on behalf of the virtual group. Shows how a security official can approve and deny requests from staff users. This CMS resource provides an overview of the interactions between the Medicare Shared Savings Program (SSP) and the Quality Payment Program (QPP) during the 2019 performance period. This document from CMS specifically outlines payment arrangements by Medicare Health Plans that qualify as “other-payer” Advanced Alternative Payment Models (APMs) for 2019. A list of payment arrangements with CMS Multi-Payer APMs that CMS has determined to be Other Payer Advanced APMs for Qualifying Participants (QPs) during the 2019 performance period. Provides a list of Medicaid payment arrangements that CMS has determined to be Other Payer Advanced APMs for the Calendar Year 2019 QPP Performance Period and discusses criteria that must be met. As Accountable Care Organizations (ACOs) are becoming more common, many practices and systems have questions related to how they fit into the Medicare Quality Payment Program’s Merit-based Incentive Payment System (MIPS) with their ACO connection. Few ACOs in 2017 meet the criteria for an Advanced Alternative Payment Model (APM), and the majority would fall into a MIPS APM model. This article contains edited Q&As with questions from MIPS APMs and answers from the Centers for Medicare & Medicaid Services (CMS) Quality Payment Program (QPP) Support Team. This video teaches about the basics of Alternative Payment Models (APM), Advanced APMs, and the benefits of participating in an Advanced APM. 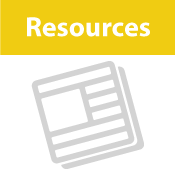 The electronic Clinical Quality Improvement (eCQI) page on the eCQI Resource Center offers tools and resources that provide a foundation for the development, testing, certification, publication, implementation, reporting, and continuous evaluation of quality measures and their improvement. You can refine the tool list by selecting a category of interest and/or a role that best describes your needs, or you can also click a specific tool from the list below to view additional details. 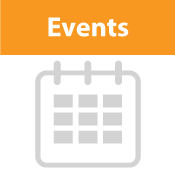 Click here to see our upcoming webinars and events. This session focuses on MIPS reporting by sharing information from the 2017 feedback reports. This webinar focuses on the security risk assessment (SRA), which is a common audit failure in the promoting interoperability performance category. 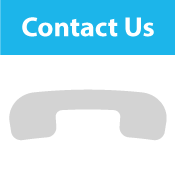 Presenters will help you learn how to ensure your clinic has completed it accurately. 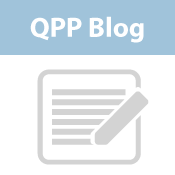 CMS publishes an updated set of administrative rules regarding QPP each year. This session provides a review of the most recent set of rules affecting the 2019 Performance Year. 10/25/2018, MIPS Tips – What is Hierarchical Condition Category (HCC) and How Does It Impact the MIPS Cost Category? This session will review the measures of the cost category with an emphasis on how HCC coding is used for risk scoring. Risk scoring affects the expected cost and can have a significant impact on the ratios used for scoring. This session focuses on using QPP and feedback reports for improvement and innovations in your clinic/organization. Our new MIPS Tips events will include: a brief overview of the steps you need to take to report to the Merit-based Incentive Payment System (MIPS) in 2017; what you need to do to be successful in 2018; a question-and-answer session with Medicare Quality Payment Program experts from HealthInsight and Mountain-Pacific Quality Health. Join this information session to understand what it means to participate in MIPS with a test, partial and full reporting submission, and the benefits to participating to the greatest extent possible this year. Leave the session with a clear plan for gathering and reporting your performance data in each MIPS category. The first part of this session will include a review of all the steps you need to take to report for 2017. The second half will be an open question and answer session with MIPS experts. This learning session includes information about using the electronically enabled clinical quality improvement (eCQI) process to select areas for improvement and how to use a methodology to guide the improvement process. This webinar offers an in-depth look at how to score the different MIPS categories (Improvement Activities, Advancing Care Information, Quality and Costs) and their submission methods. Get a quick summary of MACRA and the Merit-based Incentive Payment System (MIPS) and learn the nine essential steps for ensuring readiness for MIPS requirements. This session includes a deeper dive into two components of the MIPS portion of the Quality Payment Program: Advancing Care Information and Costs. Also, get information about tools you can immediately use to assess your costs and how to improve interoperability. Dive into the MIPS portion of the Quality Payment Program and get information about how you can be successful in MIPS, how to choose quality measures, how to improve quality measures, documentation and reporting and how to complete an improvement activity. This learning session offers a broad overview of the Quality Payment Program, including who it impacts, what it is, when it starts, how it fits into the big health care picture and how to be successful in it. The National Foundation for Infectious Diseases (NFID) has partnered with mdBriefCase Group Inc. to offer a complimentary online Continuing Medical Education (CME) activity offering strategies to help prevent influenza in patients age 65 years and older. This on-demand program provides a framework for counseling adults age 65 years and older on the importance of annual influenza vaccination through case-based scenarios and can benefit all providers in all Task areas. Please note that participants will be required to create an mdBriefCase account to access the online program, but there is no fee to participate in this activity. If interested, the program can be accessed at Influenza Prevention Strategies. See this tool to learn how to access the LMS. Factors to consider in choosing how to participate in the program through either the Merit-based Incentive Payment System (MIPS) or an Advanced Alternative Payment Model (APM). Users will be required to create an account in the Medicare Learning Network Management System to view the course. Learn about the origin and goals of Medicare’s Quality Payment Program (QPP); recognize the four performance categories within the Merit-based Incentive Payment System (MIPS); identify the three criteria to be considered an Advanced Alternative Payment Model (Advanced APM); and use resources available for QPP. Users will be required to create an account in the Medicare Learning Network Management System to view the course. The Centers for Medicare & Medicaid Services designates this enduring material for a maximum of 0.5 AMA PRA Category 1 CreditTM. Physicians should claim only the credit commensurate with the extent of their participation in the activity. Credit for this course expires June 1, 2020. AMA PRA Category 1 Credit™ is a trademark of the American Medical Association. Learn about the Improvement Activities performance category requirements, and how this category fits into the larger Quality Payment Program; the steps you need to take to report Improvement Activities data to CMS; and the basics about scoring. Users will be required to create an account in the Medicare Learning Network Management System to view the course. The Centers for Medicare & Medicaid Services designates this enduring material for a maximum of 0.5 AMA PRA Category 1 CreditTM. Physicians should claim only the credit commensurate with the extent of their participation in the activity. Credit for this course expires July 14, 2020. AMA PRA Category 1 Credit™ is a trademark of the American Medical Association. Learn about the Quality performance category requirements, and how this category fits into the larger Quality Payment Program. 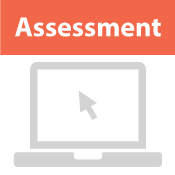 Users will be required to create an account in the Medicare Learning Network Management System to view the course. The Centers for Medicare & Medicaid Services designates this enduring material for a maximum of 0.5 AMA PRA Category 1 CreditTM. Physicians should claim only the credit commensurate with the extent of their participation in the activity. Credit for this course expires August 3, 2020. AMA PRA Category 1 Credit™ is a trademark of the American Medical Association. Learn about Advanced Alternative Payment Models (APMs), including identifying Advanced APMs and CMS Advanced APMs and how to participate in the Quality Payment Program via an Advanced APM. Users will be required to create an account in the Medicare Learning Network Management System to view the course. The Centers for Medicare & Medicaid Services designates this enduring material for a maximum of 0.5 AMA PRA Category 1 CreditTM. Physicians should claim only the credit commensurate with the extent of their participation in the activity. Credit for this course expires October 30, 2020. AMA PRA Category 1 Credit™ is a trademark of the American Medical Association. Our specialty packets contain applicable measures for the Quality, Promoting Interoperability and Improvement Activities categories along with helpful scoring information. Use these as a starting point for your 2019 MIPS action plan or to review your current plan to confirm you are on the right track.